The tribal Zen Elephant design on the right leg is stunning! 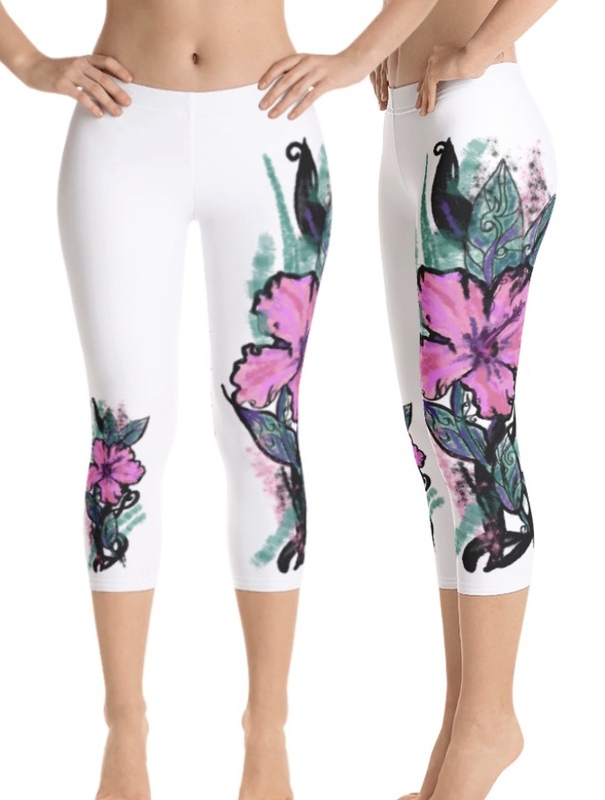 There is not a more amazing pair of yoga leggings anywhere in the world...just extraordinary and beautiful. Feel like a goddess, strong, wonderful like paradise in these leggings. Namaste! Known as a symbol of beauty that attracts soulmates and lovers, the hibiscus flower is feminine divine. Hand painted in versatile colors, this exclusive design harmonizes beautifully with solid black, pinks, greens and gray tops. Made to enhance female energy, these leggings are all about being boldly beautiful and feeling free to be. World class exclusive design ready for NYC, Milan, Rome or Home... Cosmically LOVED!